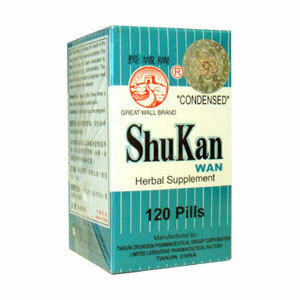 Shu Kan Wan promotes the health of the liver, digestive and nervous systems. Disperses the stagnated liver Qi for regulating the stomach, regulates Qi to relieve pain. Helps with digestion, and removes food stagnancy. Stagnation of Qi due to depression of the liver, fullness and distention in the chest and hypochondrium, stomachache, gastric upset and vomiting, acid regurgitation.